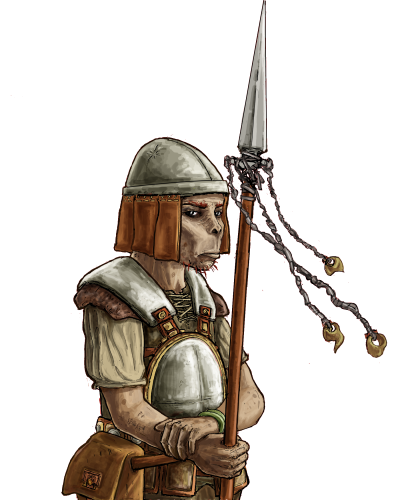 The Chief started as a simple goblin impaler, but soon discovered his talent for magic. In addition to a significant increase of his power, mobility and resistances, he also managed to replace the traditional goblin spear by something that has the appearance of a spear, but really is a magical weapon that can be ''thrown'' several times. As a result, he is a formidable foe and leader in spite of his frail appearance. Special Notes: The leadership of this unit enables adjacent units of the same side to deal more damage in combat, though this only applies to units of lower level. This unit’s arcane attack deals tremendous damage to magical creatures, and even some to mundane creatures. This unit has magical attacks, which always have a high chance of hitting an opponent.